Dr. Andrew Tislau is the clinic director of Creekside Chiropractic and Rehabilitation. A Sheboygan native, Dr. Tislau is happy to be serving the community he grew up in. He is a graduate of Palmer College of Chiropractic Florida where he excelled in his studies and served as a Clinical Teaching Assistant. Dr. Tislau is certified in Chiropractic and Physiotherapy by the National Board of Chiropractic Examiners. He is licensed to practice chiropractic in Wisconsin with physical therapy modality and nutritional counseling privileges. Dr. Tislau is also full body certified in Active Release Technique and is part of the Elite Provider Network. In addition to his Palmer education, Dr. Tislau has obtained numerous additional certifications in Active Release Technique (the gold standard of soft tissue care), Titleist Performance Institute Medical Provider (golf swing and body movement evaluation) Graston (instrument assisted soft tissue treatment used to break up adhesions and scar tissue), Flexion Distraction (table assisted traction treatment), Activator (low force instrument assisted adjusting), Spinal decompression, and Nutritional counseling. He is also trained in Sole-Supports custom orthotic fitting and modification. This training allows him integrate multiple treatment types and tailor care to patients who may not be comfortable with traditional chiropractic care. Dr. Tislau believes in empowering his patents to live better lives and will provide them with appropriate stretching and exercise recommendations. Dr. Tislau sees patients of any age or activity level and enjoys treating sports injuries and other orthopedic conditions. Of particular interest to Dr. Tislau is the relationship between soft tissue and skeletal tissue and their combined role in pain and dysfunction. He believes that addressing both of these areas of dysfunction results in quicker and longer lasting pain relief. Dr. Tislau practices a whole patient approach to care by seeking out and uncovering the root cause of each individual patient's problems with a thorough examination. He routinely coordinates patient care with other specialists and if necessary will make the appropriate referral. Dr. Tislau enjoys spending time with his wife and three daughters, serving within his church and community, golfing, hunting, fishing, surfing, and exercising. 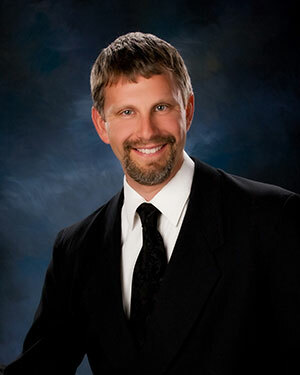 Dr. Russ Petersen has been in practice at Creekside Chiropractic since early 2005. He is married to Sheboygan County native, Sarah Petersen, and they reside in Sheboygan Falls with their two daughters. Dr. Petersen is proficient at several styles of chiropractic care, ranging from traditional hands-on adjusting to spring-assisted drop table techniques. He holds advanced training in a gentle instrument-based treatment style called Activator Methods. In addition to adjusting the joints of the body, Dr. Petersen holds a license for nutritional counseling and has clinical interest in providing specific nutritional supplementation protocols to prevent disease. He has post-graduate training in exercise rehabilitation, and can assist patients with basic rehabilitation needs through specific stretching and exercise instruction. Dr. Petersen is also certified to fit and modify custom Sole-Supports foot orthotics. Dr. Petersen enjoys spending time with his family, church, and acting in and directing plays for his theater company. Dr. Kornetzke is board certified by the National Board of Chiropractic Examiners in Chiropractic and Physiotherapy. He is licensed in the state of Wisconsin to practice Chiropractic as well as provide nutritional counseling. Beyond formal education, Dr. Jacob prides himself on continually learning and advancing his knowledge, treatment, and diagnostic skills in Chiropractic and performance enhancement. He is Titleist Performance Institute (TPi) certified, McKenzie Method of Mechanical Diagnosis and Therapy (MDT) A certified. He also holds certificates in personal training (CPT), Performance Enhancement Specialist (PES), Corrective Exercise Specialist (CES), Senior Fitness Specialist (SFS), and Golf Fitness Specialist (GFS) through the National Academy of Sports Medicine (NASM). He utilizes this knowledge base to help patient’s reach their fitness goals. 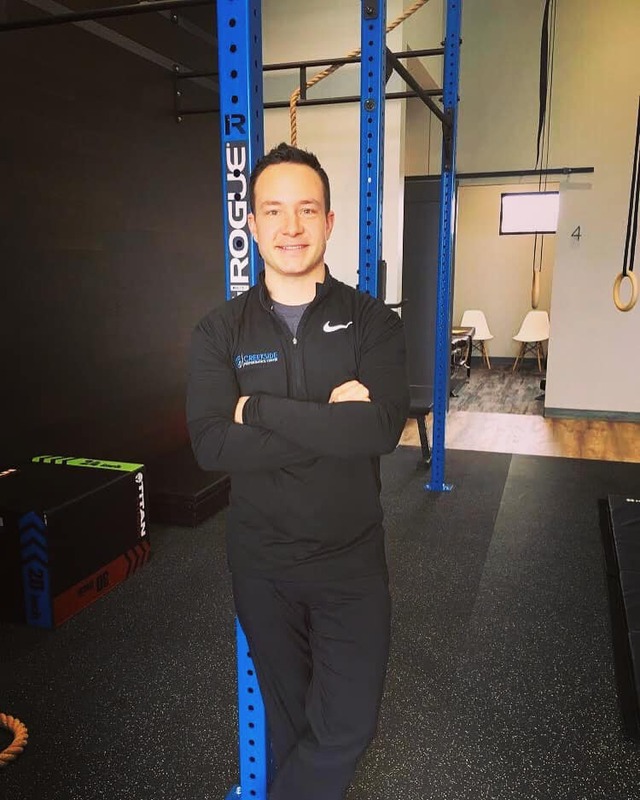 He has taught functional fitness classes, senior fitness classes, golf fitness classes, and has worked with student-athletes to improve athleticism and reduce injury risk. Dr. Kornetzke utilizes hands-on chiropractic techniques including diversified, Thompson, Cox flexion distraction, and is also proficient in activator methods and Logan Basic technique. Dr. Jacob may also utilize instrument assisted soft tissue mobilization (IASTM), myofascial release, and kinesiology tape in his treatments. 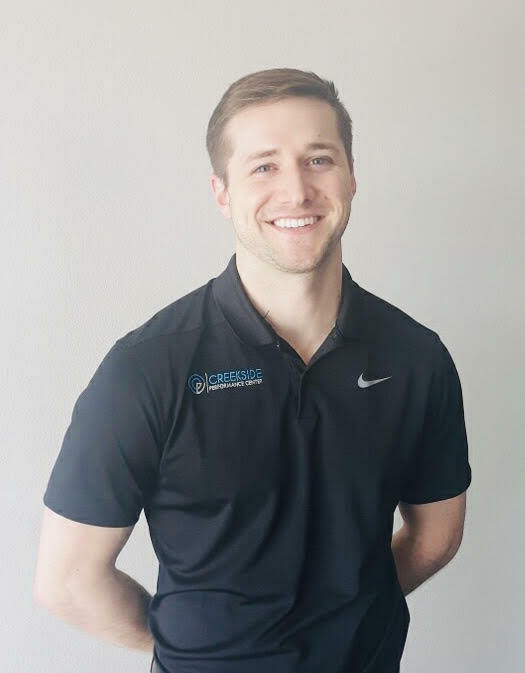 He is knowledgeable on corrective exercise and rehabilitation techniques, including Dynamic Neuromuscular Stabilization (DNS) and incorporates home exercises and stretches in many care plans to give patients independence and control. He enjoys working with patients through an acute episode, getting them out of pain, correcting and improving their joint and muscle function, and giving patients the tools and knowledge to reduce their risk of re-injury in the future. Dr. Jake understands that the body is intricately connected, and a dysfunctional area affects another area of the body. This understanding allows him to see a patient as a whole, rather than a sum of their parts. Dr. Kornetzke also understands that working with other health and fitness professionals gives patient’s the best outcome. He routinely coordinates and communicates with orthopedic surgeons, radiologists, functional medicine practitioners, and personal trainers. Dr. Jake enjoys spending time with his family, traveling with his fiancé Kristin, hiking, camping, golfing, rock climbing, weightlifting, running, reading, and cooking.